Summer is a time for weddings and graduation parties — celebrations that unite the generations and generate much joy, as well as a fair share of annoyance from the use and overuse of technology. Who hasn’t been bothered by someone snapping a selfie at an inappropriate moment or place, or a partner checking Facebook instead of conversing? With this in mind, we recently sat down with Dayana Bernavil, Hilton Worldwide’s marketing manager for New Jersey (at her home base in the Hilton Short Hills), to talk about the worst tech blunders she’s witnessed at the myriad galas Hilton hotels help host each year. But not to be party poopers, we also asked about the best tech strategies you can employ to ensure a great time is had by guests of all ages. Be mindful of anyone who’s within your camera’s view, Bernavil says. “We’re in such an age of transparency that people just don’t think that it matters anymore,” but it’s too easy to capture other partygoers in a compromising position, she warns. And parents could be upset if your pictures or videos inadvertently include their child, whose image they’re purposefully striving to keep offline. Seek permission from people you’ve photoed or videoed — or, in the case of children, their parents — before posting your handiwork to the Web or sharing it via social media. To get the good shots, hosts hire pros who need unfettered access to all the zones in a party space and shouldn’t have to battle guests to get it, Bernavil says. Just like people won’t always welcome you capturing them in your photos or videos, they don’t necessarily want you in theirs. Tech etiquette also stipulates that you should be aware of who’s shooting nearby, and not ruin a carefully framed scene by invading it. Don’t allow social media to impede your in-real-life social interaction. The party you’re attending may truly be a once-in-a-lifetime event, and you shouldn’t neglect it by focusing on something else. Bernavil notes one wedding she attended where the host family posted a sign requesting guests to shut off their cellphones. “Sometimes people use their phones too much and miss the experience of the event,” she says. Not everyone who’s invited is able to attend, and some regretfully. But streaming live video of your event enables them to participate vicariously. Bernavil recommends using Facebook Live, like the Hilton Short Hills does for its monthly Tasting Series cooking events conducted by Executive Chef Richard Kennedy. You can also use Periscope to live stream through Twitter, the YouTube app and Instagram. However, not all events and not all portions of events are appropriate for live streaming, Bernavil notes. Hosts should leverage it with discretion. 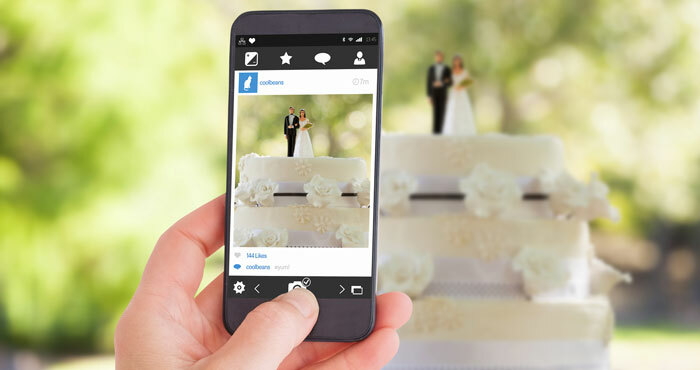 Guests may want to post about their experiences at your party — while they’re there or even afterward — and giving them a unique hashtag makes this easier for others to find posts about the event. Assigning a hashtag is straightforward: Just concoct one yourself (check to make sure it's not already being used) and tell guests to incorporate it in their social posts. 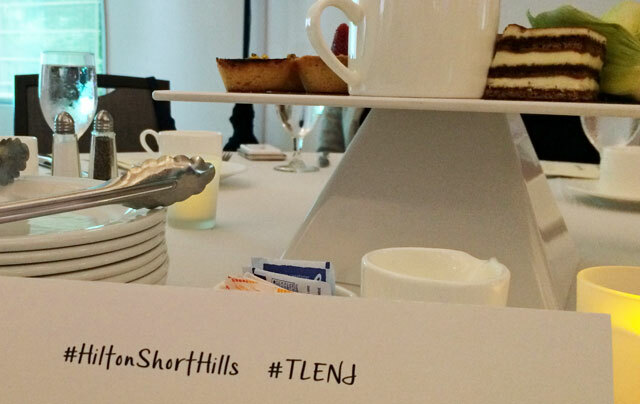 For example, the travel and leisure blogger event where we met Bernavil used #TLENJ. You can supply your guests with an on-demand geofilter from Snapchat. It’s a custom overlay for photos that you create and link to a particular place for a specific time period — say, for example, where and when your party is held. Every time Snapchatters take a Snap there and then, they’ll be offered your geofilter to place on top. Your event becomes part of their Snapchat stories or shares, and everyone who sees it joins the fun. It’s an affordable add-on to your party, too. Prices start at just $5 per geofilter and are based on the size of the geographic area covered, time of day, and day of week used. Millennials and the younger Generation Z kids especially enjoy sharing their experiences, and a modern rendition of the old-fashioned photo booth makes this simple. Called a social media stand, it utilizes an iPad loaded with an app that creates animated selfies, such as Boomerang from Instagram, and is ideal for a Bar or Bat Mitzvah, Bernavil explains. Because older and younger partygoers often don’t like the same kind of music, Bernavil suggests what she calls a silent disco: It’s a separate dance floor where kids listen with wireless headphones to tunes spun by a DJ, while adults enjoy a live band or another DJ’s choices somewhere else in the party space.